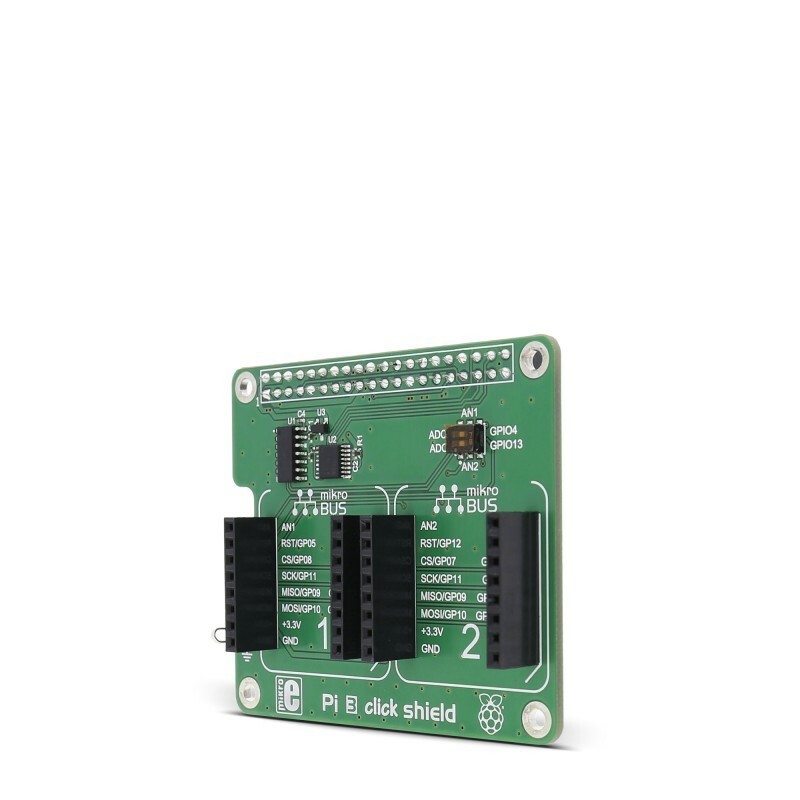 The shield has an onboard ADC which enables the measuring of the analog levels. 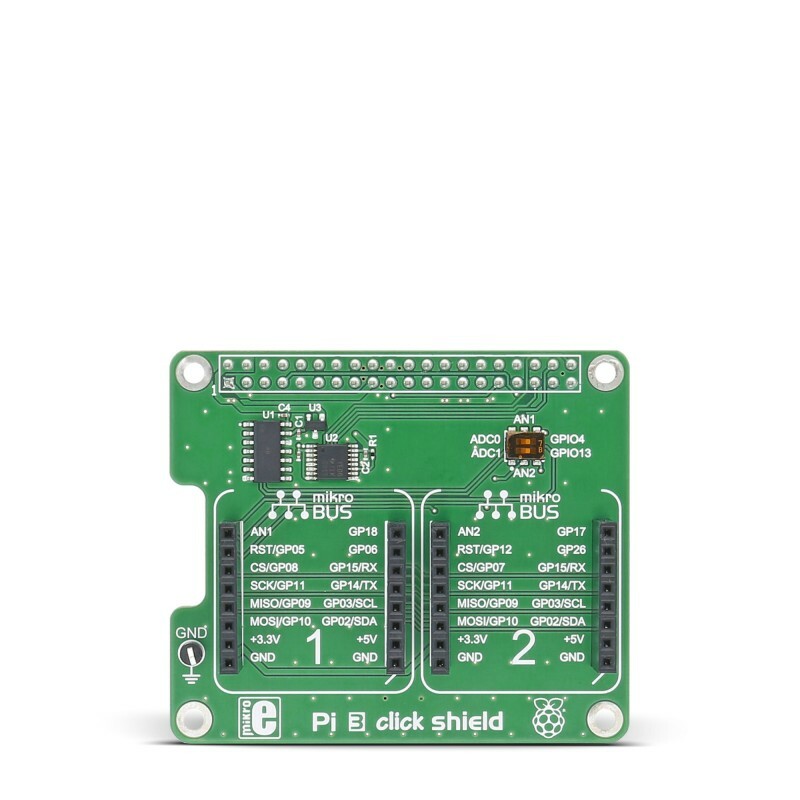 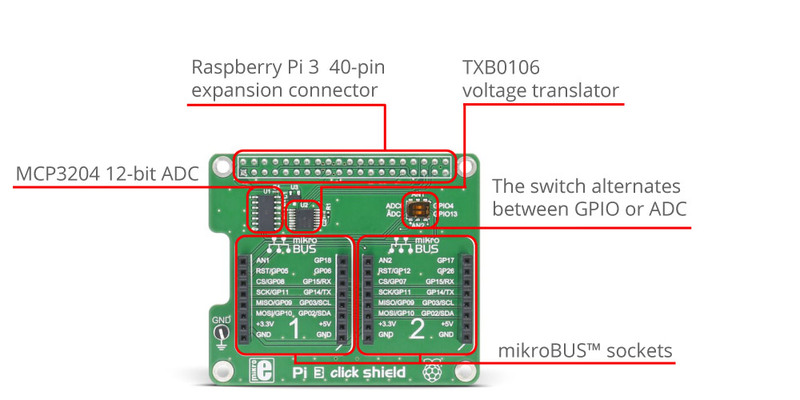 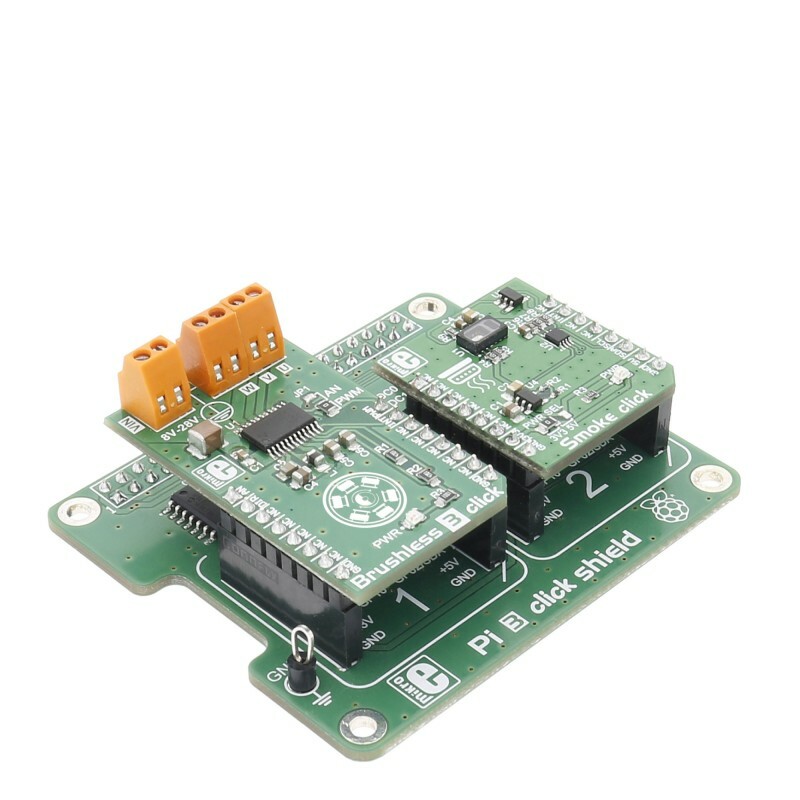 Since the Raspberry Pi® doesn't have an analog pin on the expansion connector, by adding an ADC we've enabled the usage of any click board™ from our offer. Picture on the right shows Pi 3 click shield connected to the Raspberry Pi® 3 model B, picture on the left shows the connected shield along with two click boards™: Ozone 2 and GNSS 5 click. 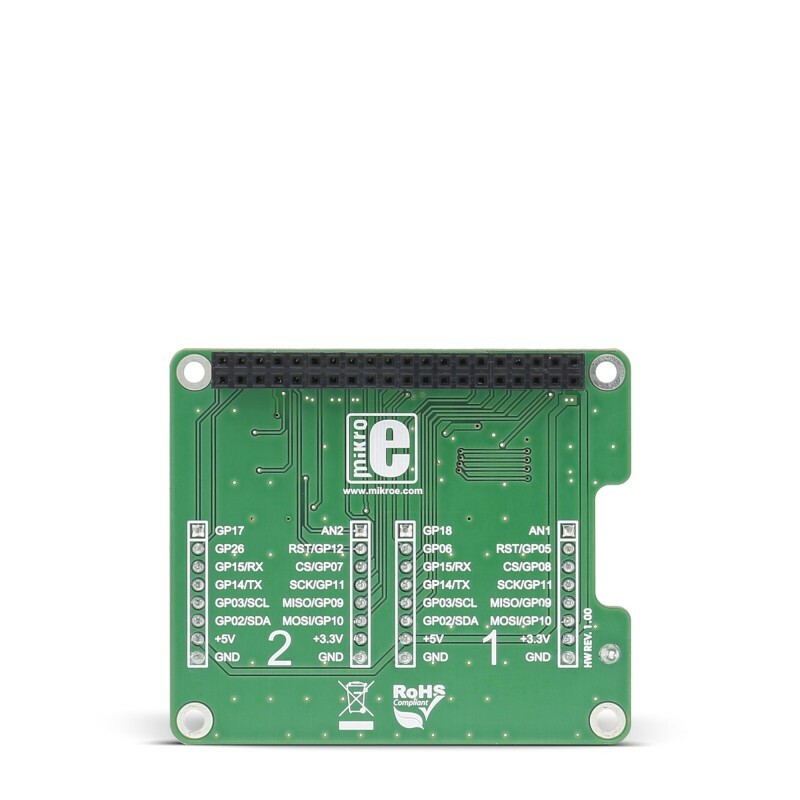 Key Features GND Oscilloscope probe pin. 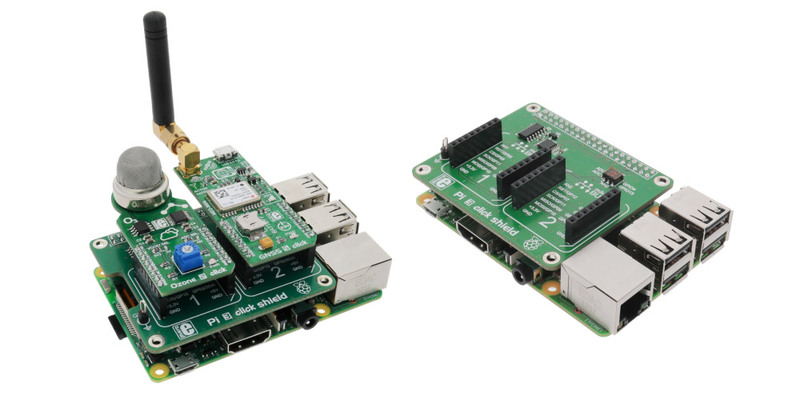 Four mounting holes.